Only verified residents can leave feedback. We have continued to maintain our strong sense of core values. Our primary objective has always been: "to strive for excellence in providing an ethically sound, individualised, highest quality of nursing care for older people in a homely environment with the support of well trained and highly motivated staff." 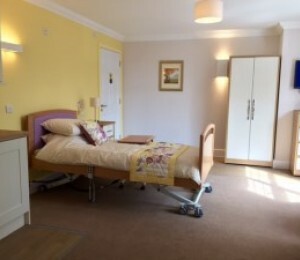 Cedar View is a purpose-built Care Centre in tree lined Stanhope Road, conveniently located in close proximity to the array of facilities in Croydon city centre. The home offers state of the art facilities designed to give residents the best quality of life possible. Every floor has a lounge, dining area and single modern and luxurious en-suite bedrooms as well as suites with kitchenette facilities. For the home away from home experience we provide IT facilities, Library, Bar, Bistro, Hair and Beauty Salon as well as a Luxury Home Cinema and sweet shop for residents to enjoy. Our priority is the welfare and happiness of the residents and our highly qualified staff are committed to caring with comfort and compassion. Our individual care plans enable us to meet the needs of our residents and to deliver the care experience they want.The commitment of the team to deliver quality care has meant they achieved "Good" from the CQC on their last inspection. The activity team schedule events daily and regular trips out are much enjoyed by the residents of the home. Having started in 1997 with one care home we have now successfully expanded to operate a number of homes across the South of England. At the heart of this success has been the recruitment and development of similarly minded, hard working staff who share our goals and aspirations. We aim to nurture an environment of mutual respect and cooperation amongst all our staff to provide the highest possible level of care to our residents. Ask our funding experts about getting financial support. 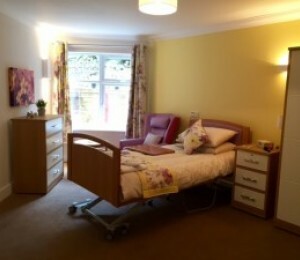 CareHomeBedFinder Ltd is registered in England & Wales (11065043). Registered Office: 1a, Kingsburys Lane, Ringwood, England, BH24 1EL. Copyright © 2019 CareHomeBedFinder Ltd. All Rights Reserved.